Kara Zor-El is having trouble acclimating to her life on Earth in National City while looking back on how things were on Krypton. She even remembers her parents' promise to follow her to Earth. To make matters worse, head of the D.E.O., Director Chase is angry about Supergirl's unauthorized mission to stop data thieves on a train robbery. 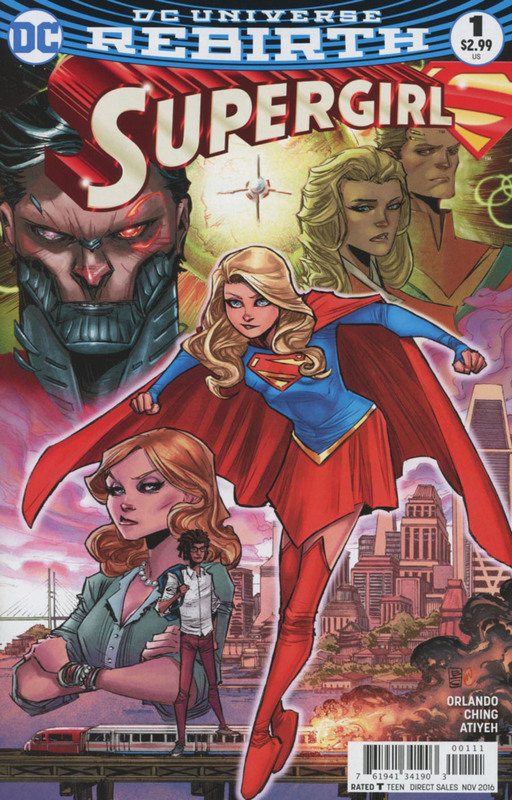 No matter how her assigned foster parents the Agents Danvers try to make her feel at home by speaking Kryptonian and decorating their living room like one on Krypton from years past, the Girl of Steel feels more alien than ever on this extraterrestrial planet. She eventually finds sanctuary in her cousin's Fortress until her father, now a cyborg version of Superman, asks her to go with him to what remains of Argo City. Story - 3: Did DC release this book because of the television series? It sure feels like it at times as I read this issue. I enjoyed the Rebirth one-shot, and it showed some promise for this monthly comic. What pretty much saved this debut issue of this Post-Rebirth title is the last page. 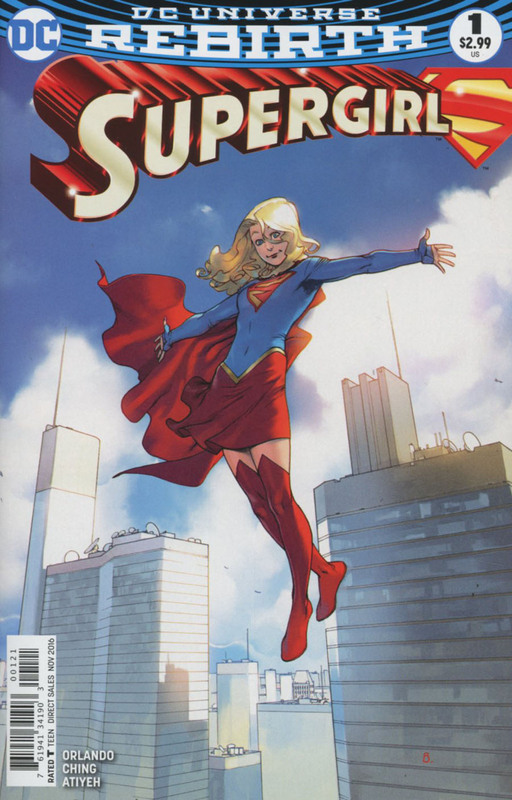 Without it, the book would have been just your standard story of Supergirl trying to fit in on Earth, which has been done many times. It's still a good issue, but the Cyborg Superman's return made it better in spite of the rest of the issue repeating the same formula. Art - 1: The art in this issue is awful. It may work for another type of book, but it doesn't work for Supergirl or anything Superman related. Cover Art - 1: This cover was as bad as the interior art. It's like DC Comics wants this book to fail in the art department or something. Variant Cover Art - 1: This was worse than the main cover if that's possible. It felt like being punched in the eyes.